With over 50 programs to choose from, Belmont students have never had a better opportunity to enrich their education by going abroad. 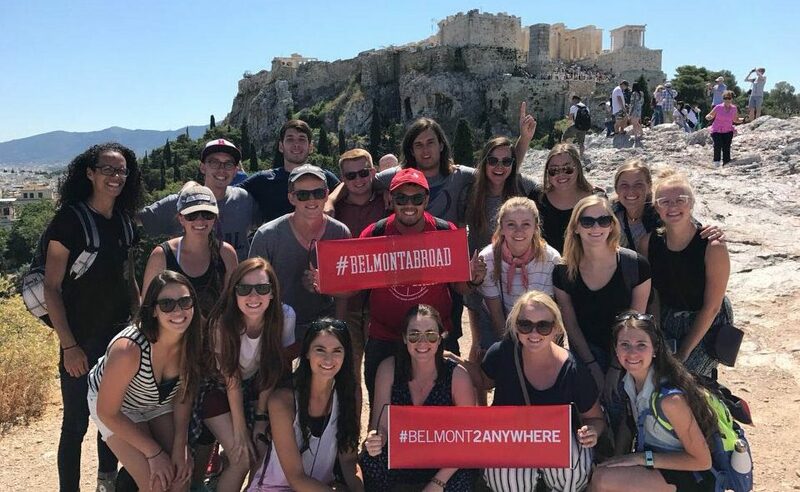 Thanks to the department of Interdisciplinary Studies & Global Education, the Office of Study Abroad and the dedication of Belmont faculty, the catalog of study abroad programs continues to grow. The spring and summer of 2018 will see students travel to several countries that have previously been part of the study abroad program, such as Ireland, Germany, France and Italy, as well as some new additions, including Iceland, Portugal, South Korea, Tanzania, Uganda, Zambia and Zimbabwe. Belmont offers both short and extended program types, ranging from one week to one full academic year. The short programs are led by Belmont faculty, and the credits are applied directly to students’ degrees. Longer trips can be completed as direct-enroll or exchange programs with partner institutions abroad or through affiliate program providers. Not only can students earn academic credits in their program and country of choice, but internship and service opportunities are also available. Applications for Spring Break 2018 programs are due Nov. 15, while the deadlines for Maymester and Summer 2018 trips are Feb. 1 and Feb. 15, respectively. Contact the Study Abroad office for more information.